Sept. 19, 2017, 12:44 p.m.
By Ricardo Bilton @rbilton Sept. 19, 2017, 12:44 p.m. Developers aren’t wasting any time attempting to make Cook’s vision a reality. Alongside the launch of iOS 11 today, Quartz is updating its iOS app, which will use augmented reality features to illustrate some of its stories. For instance, its coverage of the demise of the Cassini spacecraft is joined by a 3D model of the ship that users can examine as if it was physically in the same room with them. The AR features are built using ARKit, the augmented reality toolkit that Apple announced and released to developers in June. (See Made With ARKit for some pretty amazing examples of what it makes possible.) 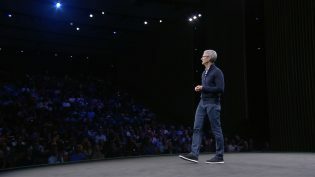 While phone-based augmented reality not totally new (see: summer 2016’s short-lived Pokémon Go fad), Apple’s operating system-level embrace of the technology will open it up to far more people. (There are now more than 700 million iPhones currently in use worldwide, according to BMO Capital Markets.) 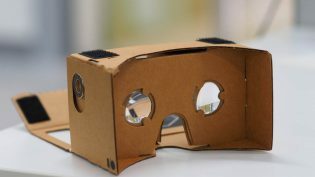 Google, too, has released its own AR development kit for Android developers, expanding that potential reach further. The scale of the iOS and Android userbases will make building AR-based apps more tempting to developers, who’ve have already used ARKit to show off demos that include virtual pets, food ordering, bar charts, and, yes, fidget spinners. When it comes to journalism, augmented reality has gotten significantly less attention than its sibling technology virtual reality, which has captured the imagination of news organizations such as The New York Times, The Guardian, and USA Today. 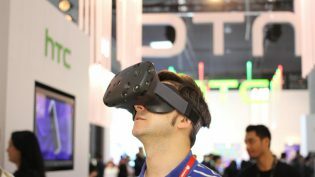 But VR technology has so far been held back by high development costs and the inaccessibility of its hardware. Augmented reality, in contrast, is already accessible to anyone with a smartphone. Many assume that Apple’s current embrace of smartphone-based AR is a precursor to some kind of Apple AR glasses down the line. Bloomberg reported earlier this year that Apple already has hundreds of engineers working on various AR-related projects, which suggests that the company has big plans for the technology. What was once the job of the iPhone is now being distributed, bit by bit, to a constellation of smaller and more personal devices — the Apple Watch on your wrist, the AirPods in your ears, the AR glasses that everyone expects Apple to bring forth in the next few years. And over time, as those each become more powerful and more connected, they’ll make the smartphone a little less central. So why does that matter to news publishers? It’s another paradigm shift that they don’t seem prepared for. If users’ mobile attention is decreasingly focused on a good-sized screen in their hand, how do news producers get their attention, serve them what they need, and find a way to monetize it? POSTED Sept. 19, 2017, 12:44 p.m.
Bilton, Ricardo. "Quartz is using Apple’s new AR tech to “help people understand objects in the news” on iPhones." Nieman Journalism Lab. Nieman Foundation for Journalism at Harvard, 19 Sep. 2017. Web. 18 Apr. 2019. Bilton, Ricardo. "Quartz is using Apple’s new AR tech to “help people understand objects in the news” on iPhones." Nieman Journalism Lab. Last modified September 19, 2017. 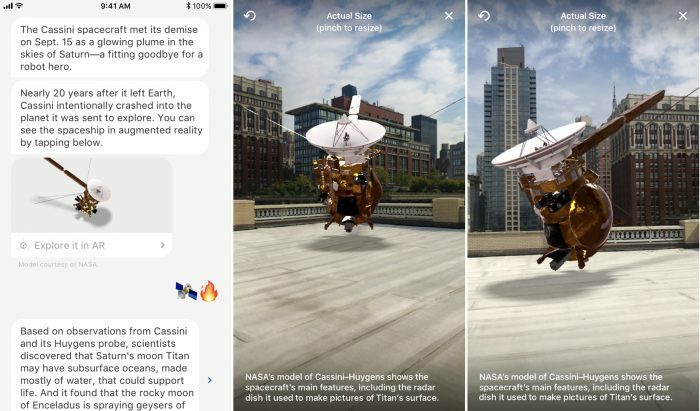 Accessed April 18, 2019. https://www.niemanlab.org/2017/09/quartz-is-using-apples-new-ar-tech-to-help-people-understand-objects-in-the-news-on-iphones/.